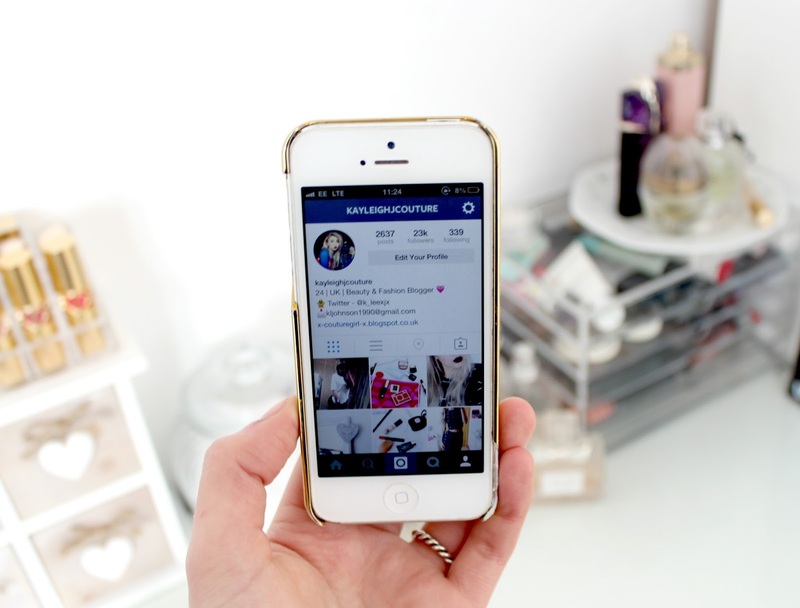 Instagram is fast becoming the 'IT' social networking site - it recently surpassed Twiter in user numbers and in the blogging world specifically, there isn't many bloggers who don't use it! Its definitely my favourite social networking site as I love scrolling through my feed and looking at all the pretty and inspirational photos. I'm also addicted to uploading photos to my own account and not a day goes by where I haven't uploaded something. 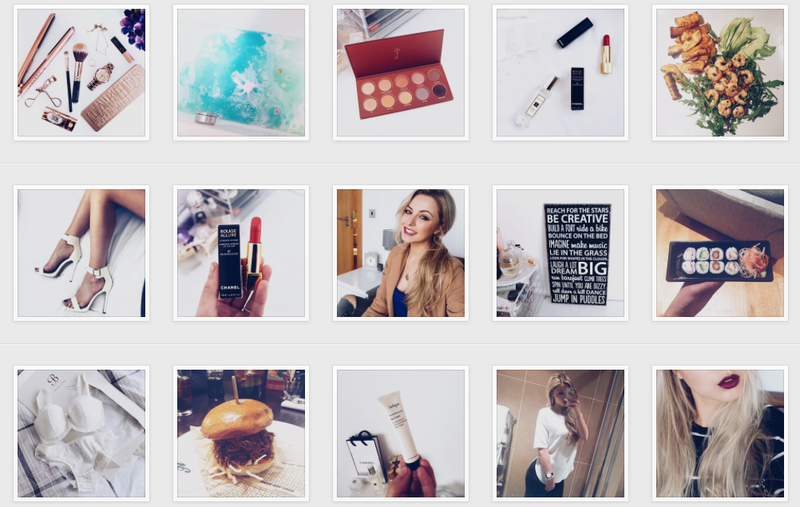 Whether its beauty products, an 'ootd', my dinner, an inspiring quote or a selfie, you'll find it all over on my instagram. You can follow me here if you're interested in seeing more! I think the reason Instagram has become so popular is because images are more appealing than text. You could write the most inspiring / funniest or sweetest tweet in the world but if its accompanied with an image, its 10x more powerful and will catch people's attention a heck of a lot more. When it comes to the photos you post on instagram, quality really does matter. Much like a blog, out of focus imagery just isn't appealing and people are less likely to click follow if they see blurry images. The kind of instagram accounts I like to follow all have a similar theme - they're light, bright and have sharp clear images. A good tip I have for this is to use your actual camera to take the pictures - I often take a batch on a weekend when I've got lovely natural light and I then email them to myself ready to upload throughout the week. Obviously this is quite extreme if you're not a blogger and just have instagram to share things with your friends but if you want to make it more professional, I'd highly recommend doing this. You can even get digital cameras that you can upload photos straight to instagram from. I'm definitely adding one of those to my birthday wish list! As I mentioned before, all of the instagram accounts I like to follow have a few things in common - their photos are light, bright and high quality. If I click on a account and see these things, I'm likely to follow! With my own feed, I tend to stick with the same filter on every photo as this gives it a nice consistent look. My favourite app for filters is VSCO cam - I'd highly recommend it if you want to try out some new filters! I also really like 'Valencia' on instagrams own filters as this gives a nice creamy candlelit finish! I also like to use Afterlight to brighten my images - I often adjust the brightness, exposure shadows / contrast and highlights until I'm happy with it. I've popped an example below - as you can see, it makes a huge difference! For this, I added a VSCO cam filter, upped the brightness and contrast and then cropped it! Its probably quite an obvious one but if you want your posts to be seen by more people, think about the time your posting. For example, if you post a picture at 2am in the morning, its less likely to be seen as people will be in bed. However, if you post at 7pm when people are likely to be home from work and scrolling through their phones, your post will be seen by more of your followers and therefore get more engagement. I usually post two to three times a day and find posting around 8:30am or between 6 and 9pm in the evening works best for me! Its best to just play around and with different times and see when your followers are most engaged. If you're really interested in what works and what doesn't on your instagram, you can always use Iconosquare (formerly statigram) which gives you monthly instagram stats. You can find out which posts were your most liked / commented on, how many followers you gained / lost, where your followers are based and the times / days in which your followers are most engaged. The only reason I really know about this is because I sometimes use it for work but it can be interesting to have a look now and then to see what's working best for you and how your account is growing month on month. Just like its important to follow and comment on blogs to build relationships and get your blog out there, the exact same applies to instagram. There's been so many times recently when someone has commented on my photo and I've clicked on their account, liked what I've seen and followed them back. Its important not to do just for the purpose of gaining followers or spam people with 'SFS' or 'follow for follow' type comments but if you genuinely like a photo, let the person who uploaded it know. I love having discussions with people on my posts! Just like leaving comments, using hash tags can become spammy if you use too many. However, using a few hash tags that are relevent to the thing you are posting is great as people who are interested in what you're sharing might see your image and like / comment or follow you. For instance, I usually always hash tag #beauty #makeup or #bbloggers if I'm trying to promote my beauty posts or #fashion #style #outfit #ootd and #fbloggers if my post is more fashion based! Its entierly up to you what you use - just make sure they're relevant and don't use too many! I hope this helped in some way - I'd love to hear any tips you have for improving your instagram feel and promoting your images! This is what I have been waiting for! Instagram has been baffling me as a blogger, how do people always get these lovely photos??? I never realised they where planned haha...thank you for the tips! I am defiantly going to have another crack at Instagram! Thank you so much for the answers I've been looking for! My Instagram will now improve massively! great points! I have been MIA for a month now since my phone broke! I'm missing out on so much and it really did affect blog stats for me. Hopefully getting my phone fixed soon! I love Instagram too and def prefer it to Twitter! This exactly what I needed to see! I love your instagram. I have instagram too but I never get likes or followers! These tips are going to come in handy! It always amazes me the amount of just Instagram bloggers I find. But I think consistency is key, and always something I look for when I follow someone. I love Instagram! I always use the same filter - Valencia - too. Most people i follow are fairly similar, I hate the ones that are really spammy, I always have to delete several span comments from each pic! Really great tips! I've been trying to have a more "styled" instagram feed this year and it's so enjoyable! This was so helpful and useful and I agree it is just so popular and I need to get to it more I feel like. Really helpful! You are right that you have to care about your instagram as you care about your blog. It's also a massive source of inspirations and you can find new, amazing blogs (that is how I found your blog haha). Amazing post! These are great tips, thanks! Lovely post!!!! Great photos. Would you like to follow each other on GFC?! Let me know and follow me on my blog, I will follow you right back on both GFC and Bloglovin! Amazing post! I followed your Instagram before I followed your blog, it is so consistent and inspiring. It was so helpful, definitely going to check out the app recommendations. Thanks for the great tips! Love this post! Thanks for the awesome tips, just downloaded Statigram for myself :) Trying to grow my Instagram following!! Great post and the Instagram tips are really helpful! I love using Instagram and I'm always trying to find ways to improve my photos so thanks for the tips! And just had a look at your Instagram it's amazing! Since Instagram is 100% visually based, editing is definitely the way to go! Thanks! Great Blog and Great tips! 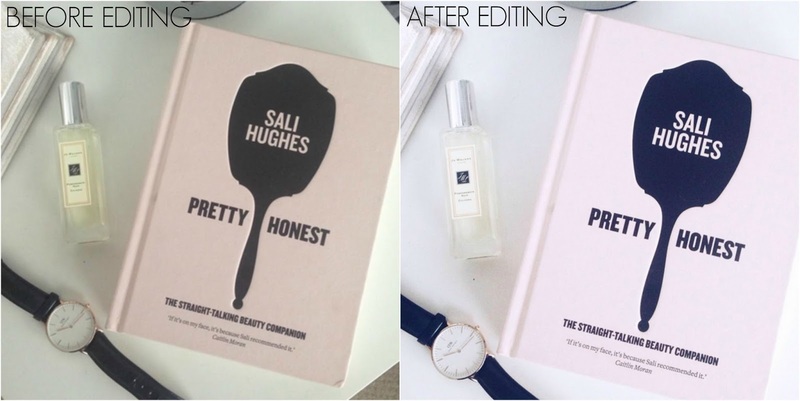 I'm definitely going to try those editing apps you mentioned. Thank you for the tips! I love your instagram :) Ive started using Iconosquare since reading this and its helped out loads! Loved this post - so many things for me to think about as I am now starting to use Instagram so much more.